Have you gotten lost on your family history journey while finding your ancestors? Well, have no fear as I will present to you 5 free genealogy classes online that will get you back on track. These classes are not only suited to the beginner but the seasoned genealogist as well. So, there is something for everybody. First I would just like to share with you my family history journey. I learned about my ancestry from my father. He had many stories that he would recite to me and my brothers. They got me hooked on genealogy and so I wanted to know more about my ancestors. Just who were they, where did they come from, and what was their story?! I took on what research my father had already done and started to build on it. In the beginning though I didn’t know what I was doing. I was very fresh and green. I just took what I got and ran with it, wherever it took me. I would follow leads and see where it would take me. There was really a path I followed. It was more like a ramble. But that was how I learned the subject of genealogy. Even though my journey was a bit crazy I did learn how to delve into archives, check out genealogy search websites for records, and how to write a family history book, besides other things. All by doing it on my own. Why do you need a genealogy course? But just because I didn’t do a course doesn’t mean that you don’t need it. It just wasn’t there when I first started. Genealogy classes can help you on your way if you are a complete beginner. And if you have been researching your family history for many, many years well then you can still learn some nifty tips, tricks, strategies and techniques as well. As genealogy is such a varied subject there is just so much that you can learn. You just never stop developing skills along the way. If you have ever faced a brick wall in your research then a genealogy class may very well help you on your way. Genealogy classes and courses don’t come cheap. That is why I have written this post that will give you an overview of the 5 sites that I recommend for you to visit that you can learn from for FREE! FamilySearch if you do not know already contains the world’s largest collection of free family trees. They are also known for the millions of genealogical records that are held within their databases. They have been a go-to place for genealogists since 1999. Not only have they helped people all over the world trace their family roots, but they have helped me trace mine. So, I can highly recommend FamilySearch. Their newest addition to the site, the FamilySearch Learning Center contains hundreds of free genealogy classes. The Learning Center covers a range of different topics that will help not only the beginner but also the more experienced family historian. Courses are available in several different languages. Most classes include a video lesson. There are course outlines provided. Handouts of the courses are obtainable too. And the courses are entirely free to everyone! FamilySearch provide in my opinion quality courses. And the best thing about this resource is there is definitely something for everyone. Like FamilySearch the Genealogy Classes at Genealogy.com cover many different topics. Most of the classes discuss the different kinds of records that the family historian can use for his or her research. The courses are all quite fairly short though with no pictures to aid your learning. Even though the courses aren’t lengthy you can still learn a lot from them. In my opinion the courses give you an excellent overview of the various genealogical records that are available to you and how you can obtain them. If you have British ancestry then the courses available at the UK National Archives will be invaluable to you. These classes are provided as either video webinars or audio files that you can watch or listen to online. This UK resource can show you how to trace the various different kinds of British records, such as military records and the 1939 Register. There are several kinds of records that you can get that WILL help you to trace your British roots. And the UK National Archives Family Section shows you just how to do that. What I do like about this site is that you can learn from the presenters’ own trials and tribulations that they have encountered all while they were researching their family history. You can learn what they had to go through in order to learn about their ancestry. So, you can learn from experience. You do not have to make the same mistakes that they made. Videos are a great way for us to learn aren’t they? We retain more information by watching videos than by reading text on either a screen or in a book. Plus, we can learn a lot from them in a shorter amount of time than by reading a book. Besides the many funny cat videos that you may have seen on YouTube this resource does actually offer help to the family historian as well. Just entering the phrase “genealogy how to” will get you 203,000 results. Try it for yourself, or hit the link above! Obviously that is a lot of videos for you to sift through. And I don’t expect you to watch every single one of these genealogy videos. But it does show you that there many thousands of videos hosted on YouTube that can help you! But who presents these videos? There are people on YouTube from all walks of life who out there giving you genealogy advice. So please check out this resource and see what it can offer you. And the best part about it is that it is completely free! 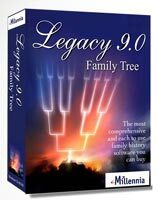 I have added this course last because the only way that you will get access to the Family History Skills course is if you are already a National Genealogical Society (NGS) member. If you are then that is great as you can get the course absolutely free! If you are not a member then I suggest you to join under the Basic Membership which will cost you $65 annually. Besides free access to this course there are also other great benefits to joining the NGS. Although technically suited for the genealogy beginner you can also take this course if you want to brush up on your skills. Who knows what new techniques or tips you will learn by taking the course? Discover family and published sources – Learn what you can discover from these valuable sources of information. Record genealogical data – This could be data that you have found online, as well as offline. Access vital records from earlier centuries. Search online – Learn how t use finding aids and library catalogs. Cite your sources – Learn the correct way and the importance of citing your resources of information. The NGS does advise that on completion of this course you WILL NOT obtain a certification of completion. This is because the NGS is an independant learning course and is not a licensing body. Discovering your ancestors through censuses is a great way for you to build your family tree. 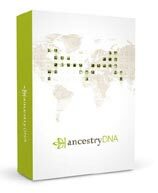 I should know as I have extensively used this resource to learn about my ancestry. You will therefore be pleased to learn that the NGS has teamed up with FamilySearch to give you an overview of The Federal Census. Through the 5 lessons that are offered you will not only get an overview of the Federal Census but also how to search through and use the 1790 up to 1930 censuses. As I mentioned at the start of this post genealogy classes can be help not only the beginner but the seasoned genealogist as well. There are other ways that you can get genealogy help, such as asking an expert (either offline or online), books, magazines, forums, message boards, podcasts, and webinars. Classes are just an other useful resource that is available to you. So, if you are passionate about discovering your ancestry, (and if you do get stuck along the way), then please check out the resources that I have listed above. If you decide to check out these free genealogy classes then please come back and let me know what you think. I would love to hear from you. I hope this genealogy classes online post will direct you to a course that will help you further with your family history research. If you have any questions or comments then please leave a comment below. Where To Find Free Genealogy Books! Thanks for all this great information. It will be very helpful to go beyond the green Ancestry leaves and see where these classes will take me. You’re welcome Connie. When I first started genealogy I learned as I went along. I didn’t have a guide, so I did encounter a few bumps along the way. And that’s where classes come in. They can show us what we need to learn in order to break down those inevitable brick walls that we will come across. Thanks for this great list of free genealogy classes, Owain! Isn’t it amazing the resources that are available these days? Like you, I learned genealogy just by just diving in, because there weren’t classes then. But I definitely made mistakes and hit lots of brick walls. Now that I’ve taken some classes, it’s all so much easier. So I look forward to checking these out and seeing what else I can learn. Yeah Deedee there is just so much out there. While creating this site I have just been blown away by the number of sites, blogs, software, DNA testing companies and so on. Therefore there is obviously a need for these classes so that we can get the most from these resources. And also learn valuable tips, tricks, techniques and skills along the way. These classes look really cool. It would be pretty interesting to check out who and where I come from. Thanks for sharing this helpful information and I look forward to doing some research! Glad you think so Kyle. Yes these classes can put you on the right path. Thank you so much for your very informative site. I tried researching my family tree several years ago and had very little luck. In my family there has been nothing passed down either orally or written. I did manage to go back a couple of generations but then I hit a wall. The resources you mentioned are all new to me, so I’m excited to give it a try again and see how far I get! Thanks again for the great article! I’m sorry to hear that you had little luck. It’s knowing where to look and also how to look for it. And that’s where The Genealogy Guide comes in. To show you the way and to help you get the most out of these resources. All the best Keli. Wow I never knew that these classes even existed. So thank you very much for sharing them. I researched my family tree myself a while back but ran into some trouble. These classes will be a big help. My pleasure to help you Charlotte. There are plenty of resources out there. I know because I have been there. So it is always good when a guiding hand will show you the way. All the best with your genealogy research. I must say that I am really impressed with your website. It contains a lot of very useful information for those seeking to learn about their family history. I will share your site with my sister as she is currently working on our family tree. She says that it isn’t a very easy task to complete. This should help her out tremendously. Glad that I could be of service Jerome. There are plenty of genealogy resources and tools that I have covered on this site. So I am sure that she will find something that will help her pursuit of her ancestors much easier.